I've said it before, and this year is no exception: it's hard to know what to give someone who lives a simple life. 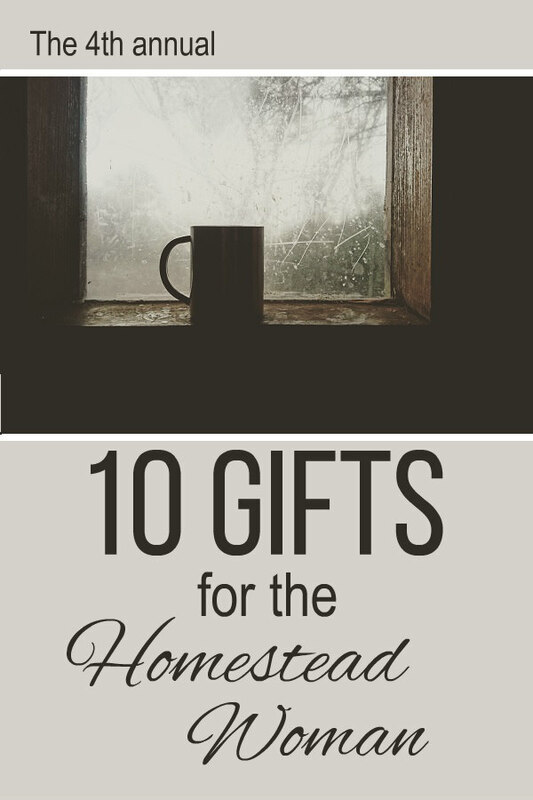 This dilemma makes me wonder if others are going through this same situation, trying to think of the perfect gift for the homestead woman in their life. Your homesteading woman might be your mother, your daughter, your sister, your best friend, your wife... or it might be you. My husband and children have asked me for ideas of what I'd like this year... and I haven't been able to think of many. So once again I went on a quest for gift suggestions. I've suggested ideas for the past four years, which you can find here: Year One, Year Two, Year Three and last year's Gift Ideas for the Homesteading Family. Hopefully you'll be able to find Just the Right Thing in this post or in one of those past lists for your own homesteading woman. Now that Daylight Savings Time has ended, these long winter evenings mean your homesteader might be doing chores in the dark. There's nothing harder than trying to carry a bucket in one hand and do some task with the other hand, all the while holding a flashlight, so a headlamp might be appreciated. This one comes with rechargeable batteries, a wall charger and a car charger. On that same note, trying to do homestead chores while wearing thick gloves or, worse, mittens is impossible, at least for me. I cut the fingers off a pair of my gloves (there were holes in the fingers anyway) but this pair of fingerless gloves with a flap that fits over your fingers when you're not doing something that requires dexterity would be amazing - and warm. Keeping homestead tasks and projects organized can be a challenge. When were the goats last wormed? When is the farrier coming next? And oh yes, the puppy needs a booster shot next Monday. I like using a weekly planner for these things. A wall calendar also works; you can choose from a large collection of farm animal calendars here. I do like a pretty calendar on the wall, but I like them for decoration more than for writing on. As I said, I prefer using a weekly planner to keep notes every day. 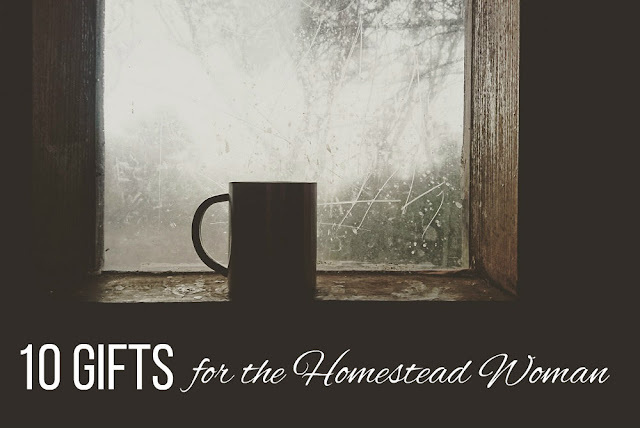 A pretty planner will encourage your homesteader to keep the pages turning. This planner from Floret's Flower Farm is gorgeous, or take a look at this planner with a watercolor farm scene, and this chicken planner (pictured above). For the homesteader who just wants to keep notes in an undated but gorgeous notebook, this turquoise journal might be more her style. This would also be perfect for Bible study notes, a gratitude journal, garden records or to use as a bullet journal. The imitation leather cover says "she is clothed with strength and dignity." Last spring I saw one of these cow tea kettles in person and it was adorable! I've wanted one ever since. Maybe your homesteader will too? After warming up the water for tea with the cow tea kettle, steep one of these artisan loose leaf Farmhouse Tea blends from St. Fiacre's Farm. The Kosel family handcrafts their own herbal teas to not only look beautiful but also to taste great. 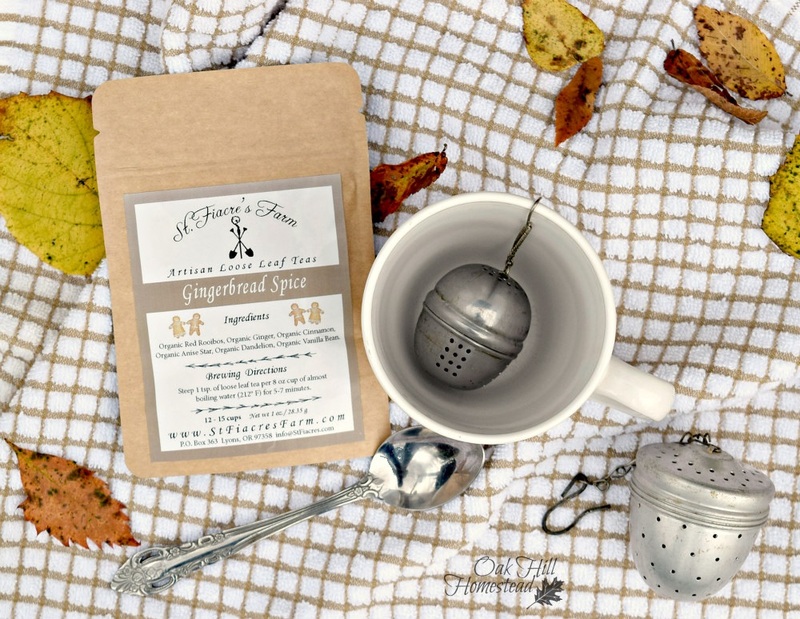 My favorite is the orange spice blend, since I grew up sharing orange spice tea with my mom. This seasonal Gingerbread Spice tea is a close second though. insulated travel mug would be perfect. It comes with a screw-on lid to keep, you know, straw and stuff out of her morning caffeine. I've ordered these barnyard cookie cutters so I can make cookies with my grandchildren. Amazon has two choices: this 7-piece set with a cow, tractor, sheep, barn, rooster, horse, and pig or this 7-piece set that includes a duck, chicken, cow, dog, pig, lamb, and a barn cat. I had such a hard time deciding which set to order that I just ordered both. They can also be used with "craft clay" like my homemade version here. How about some goat socks to go under her boots? If your homesteading woman loves cookbooks, she might enjoy blogger Stacy Lyn Harris's latest, Harvest Cookbook: Cook Fresh Food Every Day of the Year. Stacy Lyn shares her tips and more than 100 recipes for food from the garden, pasture, woods, and water. 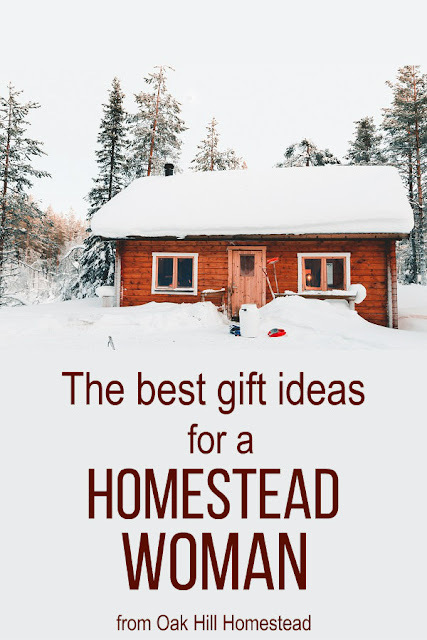 You can find more gift ideas, plus suggestions for gifts to make and gifts from the homestead, all in one place right here. Gift-giving is so hard! You found some really cute and affordable suggestions! Thank you - I hope you found just what you were looking for!